The A-League was back this week to its unpredictable best with upsets galore plus a game of the season contender. Wellington bounced back in fine style after last week’s embarrassing home loss to bottom club Melbourne Heart by emphatically beating a woefully out of form Central Coast side. The Mariners started this game the better and were rewarded with Bernie Ibini opening the scoring with a wonderful solo effort mid-way through the first half and this is how it stayed until halftime. Whatever Phoenix Manager Ernie Merrick said to his team at the break paid dividends with a stunning 2nd half performance that was mastered by that man Carlos Hernandez again. Kenny Cunningham opened the scoring for the visitors just after half time with a forceful shot from inside the box before Hernandez took centre stage. 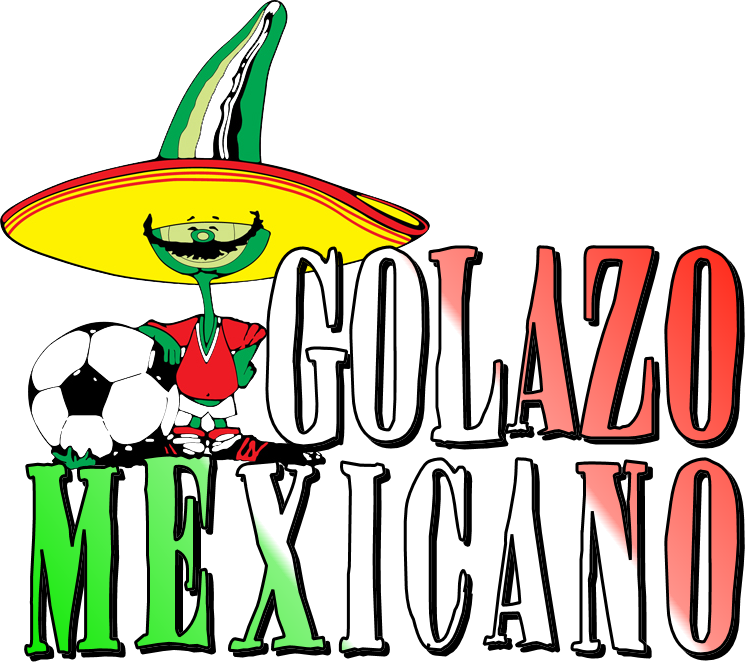 The Costa Rican took a pass just outside the box before quickly turning and blasting a shot in to send his team into the lead. A few minutes later the game was put beyond doubt as Cunningham burst through the home defence before laying it off to Huysegems who tapped in for 3-1. Huysegems then turned provider late on by feeding Jeremy Brockie on the counter to wrap things up for the visitors. Talking Point – Central Coast has now lost 4 in a row at home and is in free-fall at the moment. Can they still make the Play-Offs? In a cagey encounter between two struggling sides it was Sydney FC that ultimately ran out winners in Newcastle. Newcastle couldn’t repeat last week’s heroics and despite dominating possession were undone by some clinical finishing by Sydney who opened the scoring on 60 minutes when new-signing Sasa Ognenovski heading home Alessandro Del Piero’s delightful cross. 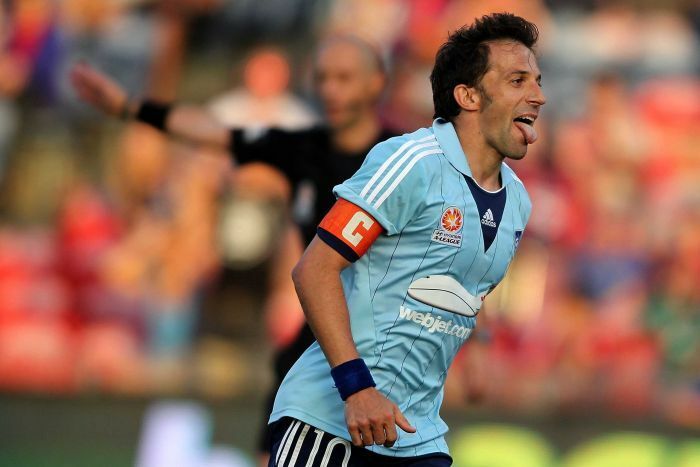 Newcastle tried to pull a goal back but were undone by poor discipline and conceded a late penalty which Del Piero converted to send Sydney home with all three points. 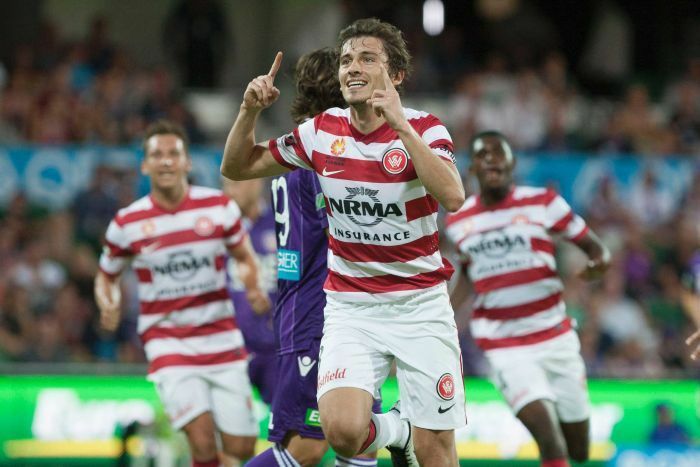 Talking Point – 2 wins on the trot now for Sydney who despite aren’t playing well continue to pick up points. Can they trouble the big guns when we get to the pointy end? 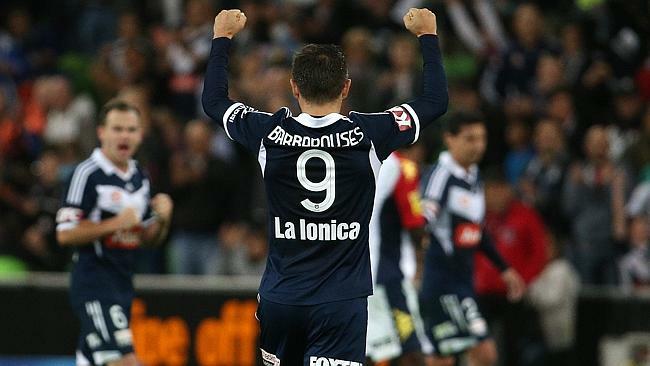 In what many are calling the game of the season Melbourne Victory saw off Adelaide Utd in a goal-fest. Melbourne were on a high after qualifying for the Asian Champions’ League group stage after beating Muangthong Utd in a play-off last week but it was the in-form Adelaide that opened the scoring early on. Classy Spaniard Sergio Cirio started things on 3 minutes by finishing a great counter move down the left to stun the home crowd. Melbourne got back in the match on 15 minutes though when Brazilian Gui Finkler took one touch to control Archie Thompson’s pass before gliding the ball home for an excellent goal. The 2 teams then played end to end football for the remainder of the half but Adelaide went into the break happier when Cirio again expertly finished after Bruce Djite set him up. Finkler then countered again with quick feet in the box to evade defenders to level the scores once more just after the break. Melbourne seized the advantage midway through the 2nd half when an awful mistake by the usually reliable Adelaide keeper Eugene Galekovic who mis-kicked and easy back pass allowed Archie Thompson to finish into an empty net. Melbourne then seemingly wrapped up the points when Kosta Barbarouses finally finished after good work in the box by Finkler and Troisi to extend the lead to 4-2. Adelaide didn’t lie down though and set up a tense finish when that man Cirio completely his hat-trick with a close finish. Cirio’s efforts were ultimately in vain as Melbourne took the 3 points and the Spaniard became the first player in A-League history to score a hat-trick in a losing side. Talking Point: Was this the game of the season? Perth’s barren record against the Wanderers continued on Saturday with the away team coming away with the spoils. Perth dominated possession but failed to do anything with it as the Wanderers played on the counter and struck early when Mateo Poljak picked up Youssouf Hersi’s pass just outside the box to place a shot in the near corner. Perth tried to get back into the game but were mainly confined to long range efforts. Marquee man William Gallas then gift wrapped the points to the visitors midway through the second half when 2 airswings of the ball comically allowed the dangerous Tomi Juric and easy passage to goal which he finished easily. Perth pushed numbers forward late on and should have had a goal when a late goalmouth scramble somehow saw the ball stay out of the net. Perth goalie Danny Vukovic went up for a late corner and despite his acrobatic bicycle kick from a corner couldn’t nab a goal for his side. The Wanderers march on and points in the bag are crucial for them at this stage of the season with the Asian Champions League commencing next week with its gruelling travel schedule. For Perth they now are kept off the bottom of the table only by goal difference. Talking Point: Can the Wanderers keep the pressure on Brisbane whilst dealing with the gruelling Asian Champions League schedule? Normally first playing last should be a no-brainer and result in an easy win the for the leaders but not in the ever unpredictable A-League. The biggest surprise here is not that the last-placed Heart beat the leaders Brisbane but that this came as no great shock. Heart were the in-form team in the competition coming into this and Brisbane had slipped up the week before to lowly Newcastle and hence the momentum was with the home side and it showed. Much like last week for the Roar, their opponents were first to every ball and won the midfield battles. 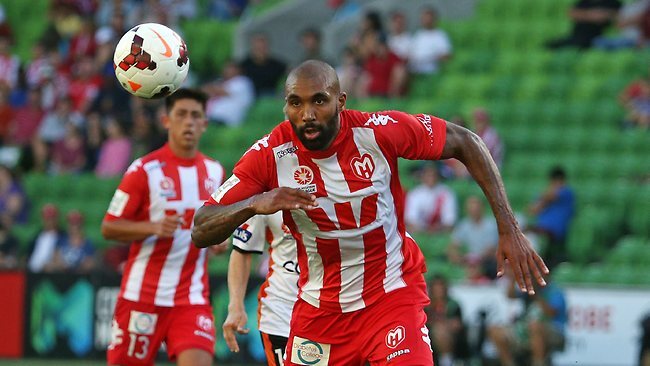 Melbourne’s cause has been assisted in recent weeks with the return to fitness of the Orlando Engelaar who is very much the Yaya Toure of the A-League with his big physique and silky passing. Engelaar bossed the midfield and it was no surprise that he have his team the win by tapping in after Mate Duganzic’s clever play in the box presented him with an open goal. Brisbane tried valiantly to nab an equaliser and Besart Berisha was denied at the death by a last ditch tackle by Kisnorbo and this makes it 2 games with no points and no goals for the previously unbeatable Brisbane side. Mike Mulvey will need to fire his troops up as they have a tough run of games coming up against their nearest rivals and their lead has been whittled down to 4 points. For the Heart they really have the bit between their teeth and are only a goal from moving off the bottom of the table in a remarkable turnaround. Talking Point: Has the decision by Besart Berisha to announce he’s leaving Brisbane at the end of the season to join Melbourne Victory destabilised the Roar?